Finally, the spring weather is being celebrated by patient Melburnites who have been desperate for sunshine and bright skies after a long winter! On the weekend, I did a wonderful circuit walk in the brisk sea winds along the sea wall from Point Lonsdale to Queenscliffe, via the evocatively named dune-top Lovers Walk. 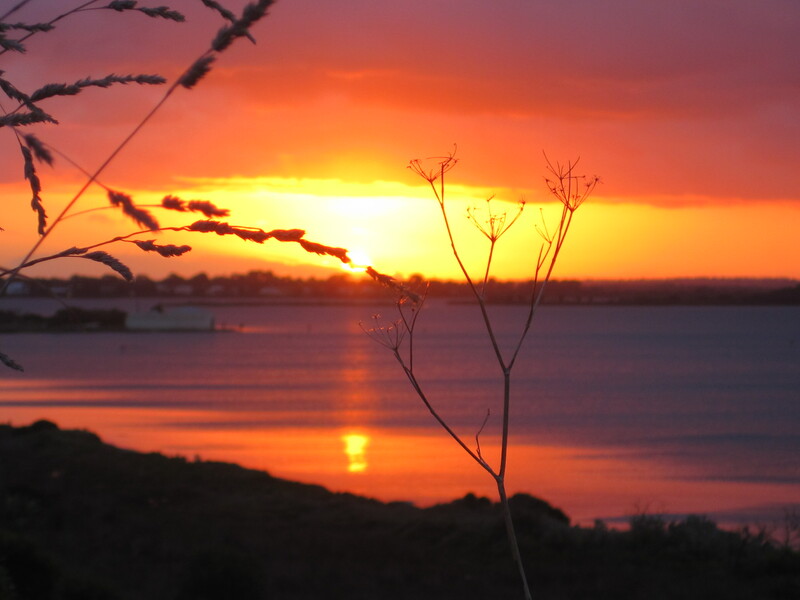 Stopped for an essential cafe moment at Queenscliffe’s historic Hesse Street, then wandered back via the Bellarine Rail Trail which hugs along the calm waters of Swan Bay – you can see by the photo I was rewarded with a spectacular sunset. It’s time to get out and get walking, Melbourne! Enter your email address to subscribe to my walks blog and receive notifications of new posts by email. Where do Melbourne Walkers come from?